Masked Shooters Multiplayer is a PUBG Like Game. After landing with the in the enemy zone all the players will be alone and will begin a bath of bullets. In this game of shooters you have to look for a weapon and war costumes to protect you from bullets. But you must stay the longest time without a bullet. So can you survive on PLAYERUNKNOWN’S BATTLEGROUNDS? 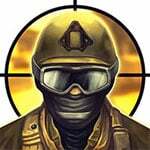 Enjoy and have fun in playing Masked Shooters Multiplayer. Masked Shooters Multiplayer Game is one of our Action Games at Round Games. To play even more free games, view our most played and all games pages. If you want to play more games like this game: Then you can simply check out the games inside the game tags that are the most relevant to your interests or check the Action Games category or check the related games section at the end of the game page. Also make sure to check out Masked Forces Unlimited Game and Surviv.io Game. You may enjoy playing them.